Christening is an important day for genealogists. Now a days the photos of the event seems more important than the actual church event. 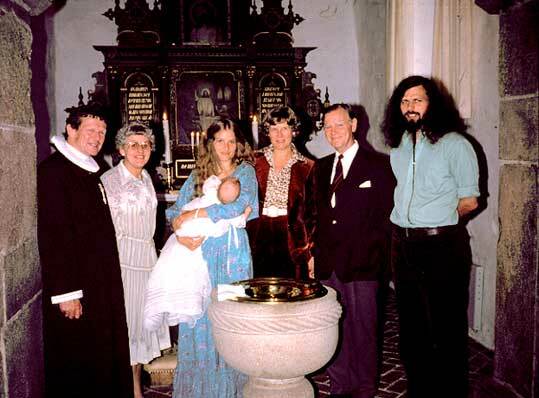 For me - and not least for my father it was important that my first born was baptized in that same village church in which I had been sitting sleeping my whole childhood, when my father preached. The photo is not very sharp as I in 1980 still photographed with the cheap half-frame camera from my vagabond years.